Women have always taken care of their skin by using the right skincare products, keeping it moisturized, and constantly seeking treatments to keep their skin looking younger and healthier. It has always been “normal” for women to get Botox and other cosmetic and aesthetic dermatology procedures, but men have been a different story. In recent years, men have started caring for their skin more and have realized not only the importance of skin care, but also that they can benefit from younger and healthier looking skin. If you think you could benefit from cosmetic or aesthetic dermatology services, you have come to the right place! At Azeal Dermatology Institute, not only can we help you take care of skin issues and concerns in a more general sense, but we can also provide you with cosmetic and aesthetic services that can help improve the look and feel of your skin and make you feel more confident. While we offer the same services for both men and women, we understand that there is a difference between men and women’s skin and can take care of your skin, giving your the results you want! 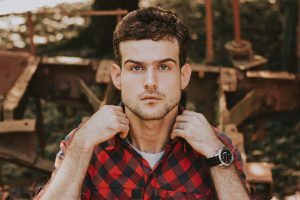 If you are still unsure about trying some of our dermatology procedures, read on to get your questions answered and learn more about dermatology services for men. While women are using products and treatments to keep themselves looking younger for longer, men are aging and looking older than women of the same age, and quite frankly, that seems unfair to us! Botox, dermal fillers, and other treatments can help your aging skin look less aged by smoothing any wrinkles, reducing dark shadows under your eyes, adding fullness, and decreasing depressions in your face. With all of these proven results, you can enjoy younger and smoother looking skin. Some of our other most popular cosmetic and aesthetic dermatology treatments for men can help add a boost of confidence. There are many things that people are insecure about, and some of the most common insecurities we have found men often battle with include excessive sweating, excessive and unwanted body hair, and stubborn body fat. At Azeal Dermatology Institute, we have dermatology treatments that can help with all of these things. If you suffer from excessive sweating and are constantly avoiding raising your arms due to sweat stains and odor, miraDry® can help. This treatment reduces sweat and odor glands, helping with excessive underarm sweat and any unpleasant smells. Laser hair removal can help with that unwanted body hair, removing it from your back, chest, and anywhere else you desire. As for the unwanted body fat, SculpSure is used to target those stubborn areas that you can’t seem to get rid of! With these insecurities taken care of, you will feel more confident than ever before. Everyone deserves to feel confident in their own skin, including men! Learn more about our services at Azeal Dermatology Institute and schedule an appointment today.